There’s only one way to describe the Aerosoles Wip Away sandal – Comfort! 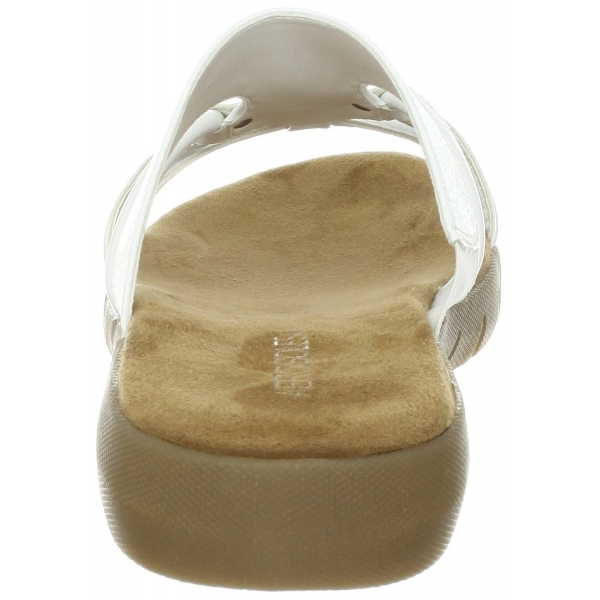 This gorgeously comfortable women’s slip-on sandal is naturally flexible, lightweight, and durable. Featuring a white leather upper in wide and thin straps, stud accents, thick rubber sole and cushioned footbed.